'If social media are to have any energy or vitality to them, employees should feel free to speak openly about their work and experiences,' advises Edelman's Stern. Many journalists and PR professionals who have their own Facebook pages and Twitter feeds will emphasise that opinions are their own and not those of the organisation for which they work. In the case of the BBC, employees are required to post this disclaimer on their Twitter pages. 'Social networks blur the lines between private and publication, and personal and professional,' warns Speed's Waddington. But an employee speaking out of turn is not the only crisis to which social media lend themselves. Few can forget the infamous Habitat intern incident, when tweets promoting the firm were given hashtags relating to the unrest in Iran and the Apple iPhone. Similarly Vodafone found itself on the end of a PR crisis when a homophobic tweet was posted on the firm's Twitter feed. Establishing clear guidelines and ground rules, such as who is responsible for a client's Twitter feed, can help avoid similar embarrassing incidents. 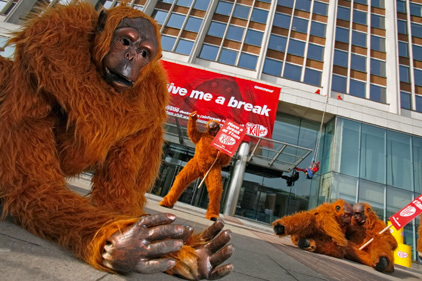 Greenpeace launched a campaign criticising Nestle for its continued use of palm oil supplied by Sinar Mas, which was accused by the charity of obtaining the product through illegal rainforest deforestation. Members of the public took to social media, including Facebook and Twitter, to criticise the lack of ethical behaviour of the firm. An employee at Nestle began to respond but this soon became problematic when responses lost professionalism and instead became defensive and, at times, juvenile. Eventually, the company lost control of the situation, at which time it stopped responding via social media altogether. McInnes adds: 'First, ensure people at grassroots level are sufficiently capable and empowered to deal effectively and professionally with whatever kicks off in the first instance.